I subscribed to Cloth Magazine after reading about it on the Saints and Pinners Blog and became an instant fan. 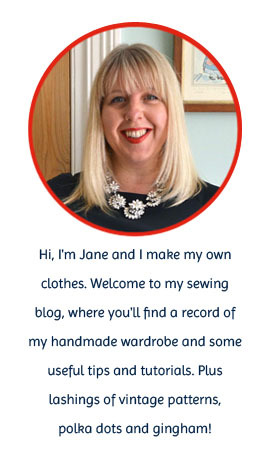 I really like the whole tone of the magazine - it has some unusual and very stylish projects (both clothes and crafty items), all of which seem to be relatively straight forward to make. The magazine’s got a bit more of a fashion emphasis than other sewing mags too and often features ingenious ways of refashioning old frumpy clothes into new ones. The only downer is that it’s only published quarterly so you have to be patient between sewing fixes. You beat me to a post about Cloth! 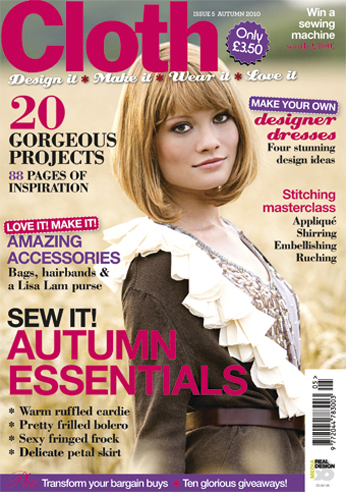 I love it too - it's a sewing magazine that is properly cool - the projects, the photos, even the paper it is printed on. Also, new subscribers will get a gift from me! Great minds think alike! Glad you feel the same way, you're right, it is properly cool. Good news about the subscriber gift! Cloth magazine are based in Bristol near me and organised some craft activities at the Kite Festival event I organised along with The Makery in Bath. They were really nice. I wish it came out more often too! I need to get sewing!